In top name of issuing authority. 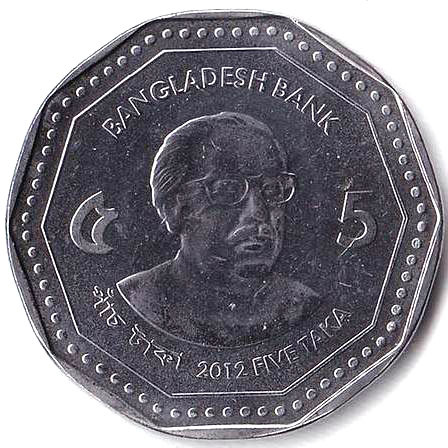 In center is a portrait of Father of the Nation Sheikh Mujibur Rahman. In both sides numerical value of the coin is written in Bangla & English. 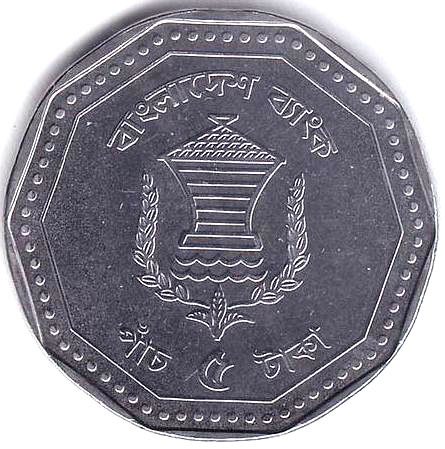 In bottom side year of issue , value of the coin in figure is written both in Bangla & English. 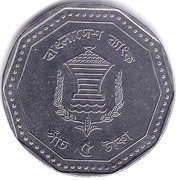 Name of the issuing authority is written in Bangla. In middle is the logo of Bangladesh Bank (Central Bank of Bangladesh). In bottom side value is written in figure & number. Smooth, slight edges in points of Decagon.